With the digital video space becoming more and more crowded by the day, just how will CNN's Great Big Story, the online video initiative launched yesterday, set itself apart? "So many people are making content right now," said Courtney Coupe, who will lead the effort as executive producer. "What we have tried very hard to do is be a different voice, have a different viewpoint of things. There's an audience out there looking for great, interesting stories that are not tied to the news." Great Big Story's great big benefactor is CNN, which is best known for its TV network. GBS, then, is going after online players like BuzzFeed, Vox and Vice who've all become very successful at courting urban millennials, "the type of folks that have grown up with a GoPro, iPhone, Instagram and YouTube," Coupe said. Along with Coupe, who joined the startup from Bloomberg, Great Big Story's staff of 30 comes from the ranks of those other digital powers. Sales chief David Spiegel comes from BuzzFeed, for instance. GBS, which has its own offices in New York's Union Square area rather than with rest of CNN in Columbus Circle, won't have preroll spots or banner ads, so branded content will be the major source of revenue. Coupe said that what will truly make GBS stand out is its focus on untold stories in four key verticals: frontiers, planet earth, flavors and human condition. "What makes our content socially relevant?" Coupe said. "That's how we will survive." GBS plans to publish three to five videos per day. One of the first follows hurricane hunter Justin Kibbey, who talks about flying into the heart of a hurricane. There's also an interview with the famously reclusive children's designer, Lisa Frank. 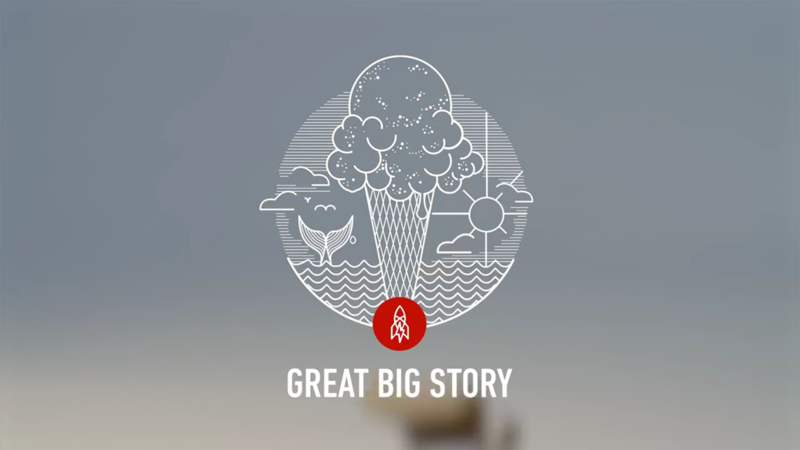 Though Great Big Story will have its own dedicated homepage, the videos will primarily be distributed across Facebook, YouTube, Snapchat and GBS's own iOS and Android apps. CNN hopes to distribute the videos on over-the-top streaming platforms like Roku and Apple TV and connected TV devices like Chromecast by early next year. Additionally, certain segments from Great Big Story will air on CNN. "We want to be everywhere you watch video," said Coupe.